Nancy moved to Connecticut from Massachusetts in 1962. She attended different churches in Fairfield County until finding St Paul’s On The Green in Norwalk in the 1970’s. She served as an acolyte and was active in various positions within the vestry for many years. It was at St Paul’s where she felt a persistent call to serve on a deeper level in the church and she sought to explore this call in the two-year MEEP (ministry education and exploration program). 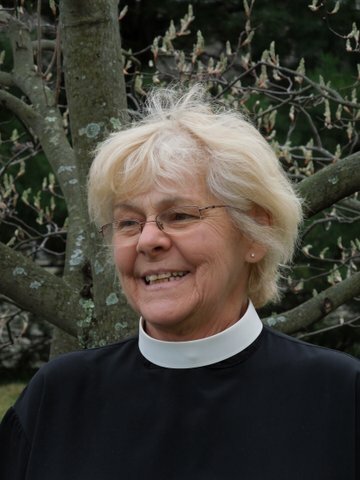 Upon completing MEEP she attended the two-year Deacon Training Program of the Episcopal Diocese of Ct. Nancy was ordained a Deacon in September 2007 by Bishop Andrew Smith. She has served at two churches, where she has been involved in helping people become more aware of and involved in various programs assisting those who live with few resources, has served as Deacon in the Sunday liturgy, and has been instrumental in helping to grow ministries of healing. Nancy is a CT state licensed alcohol and substance abuse counselor and worked at Norwalk Hospital for over 21 years as such, retiring from the hospital in 2003. She completed training at the Westchester Institute for training in counseling and psychotherapy, and has attended many workshops since then in her field. She did her clinical pastoral education at Bridgeport Hospital. Nancy continues to work with people who have addiction problems.Nancy lives in Stratford Ct with her husband Dave, and great granddaughter Mikaella. Her interests are the piano, crocheting, gardening, and spending time with her family. Hi! Greetings from Church Central! Funny thing about those initial job descriptions! I pictured a computer, a desk and a green mostly-living green plant. Who knew a secretary needed to come to work with a paint roller? How could I have expected to be checking booboos for the day care children and running trips to the dump ( courtesy of the Closet of the Month Club! ). 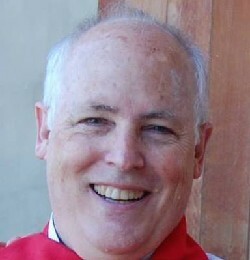 Our priest has enough ideas to rival Martha Stewart! Our office has happily become a hub of activity. With the doors opening and the phone ringing we are facilitating all kinds of community efforts as well our liturgical responsibilities, and we have become the center for parish communication/coordination of both liturgical and community events. Freshly decorated offices and library, up-to-date computers, websites and a newsletter, and new fellowship groups have invited us to reach well beyond our church membership. Our administrative functions have also supported the hugely successful Recovery Eucharist every month and extended our priest’s ecumenical contacts bringing new, rewarding experiences to our church home. Parish Secretary? I think I could run a cruise line now!